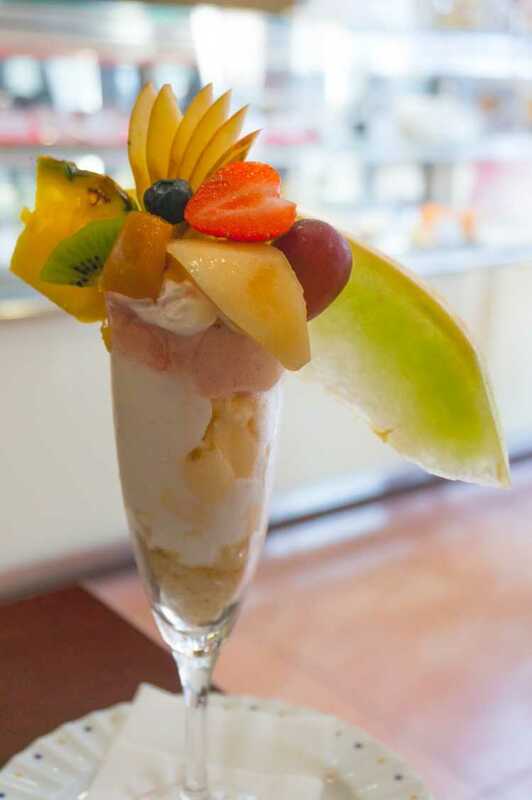 Okayama's fruit is delicious as it is, but you can eat it in such a stylish parfait! Its sponge cake in it is also delicious. The owner was a pupil of a famous pastry chef Hironobu Tsujiguchi.◎Okayama Seasonal Parfait (spring-summer) 880yen. There's a parking space in front of the shop.